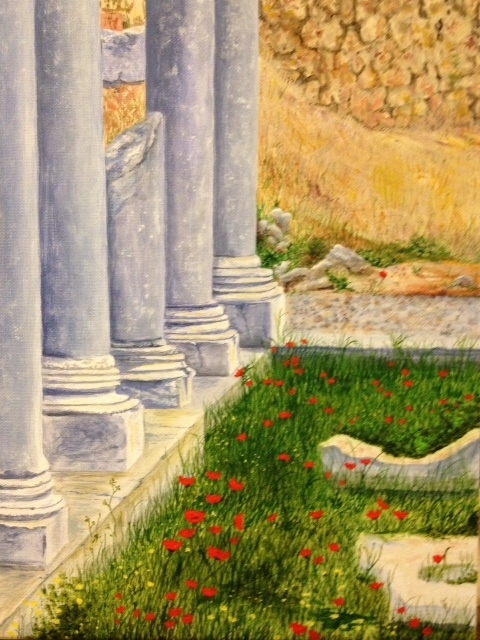 Temple Ruins and Red Poppies in Delphi Greece. These poppies are in the shadow of the ancient Temple ruins of Delphi Greece. A fellow artist visited here and brought back the must be painted pictures.